IO Interactive presents the first official look at the Deluxe Professional Edition of Hitman: Absolution! Watch Hitman: Absolution Gameplay Director, Christian Elverdam and Community Coordinator, Travis Barbour as they unbox the limited collector’s edition and take a look at the exclusive 10” Agent 47 statue – only available in the Deluxe Professional Edition – as well as the 72-page hardcover artbook, making of DVD and the Agency Gun Pack DLC! HITMAN: ABSOLUTION will be released on November 20, 2012 for PS3, XBOX 360 and PC! 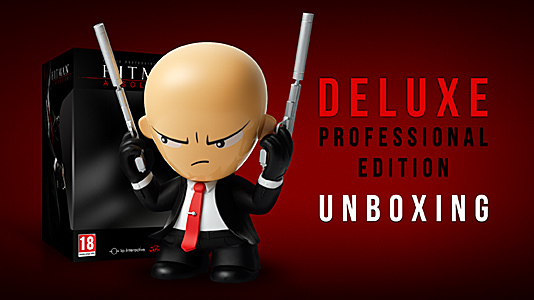 Tagged as: Hitman: Absolution Deluxe Professional Unboxing!